Hadi Fallahpisheh (b. 1987, Tehran, Iran) works primarily with photography, as well as performance and installation to destabilize visions of a stable and singular subject. Often commenting on conditions of displacement, his work questions the ability of representation to convey truths, revealing the gaps between public perception and personal experience. Fallahpisheh moved to New York in 2014, and received an MFA in Photography from Bard College in 2016. He is a graduate of the Creative Practices Program in Photography at the ICP, New York. 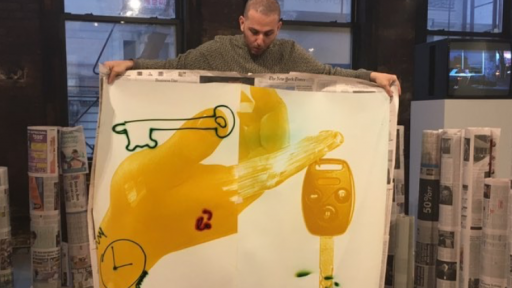 He has presented work at venues including Simone Subal Gallery, PAGE Gallery, Kai Matsumaiya, Off Vendome, ICP, and Callicoon Fine Arts, and in Tehran at Delgosha Gallery, Dastan Gallery and Maryam Harandi Gallery, among others. A home movie of a family from years ago, when the import of American cars was still legal. The family is returning to Tehran from a trip with their Ford car. The father of the family has placed his 8mm camera on top of a hill and assigned his son to record the route their Ford is taking. 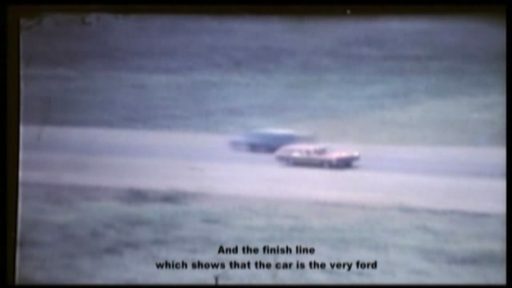 The driver’s descriptions and explanations are not clear in the film and the picture of their Ford looks distant and eliminated like other cars on the road, but it’s a special car for them. An American Ford holds their over-populated family, including all children, and has taken them on a pilgrimage to Mashhad – a Ford which is as notable as a family member to be captured by the father’s camera.